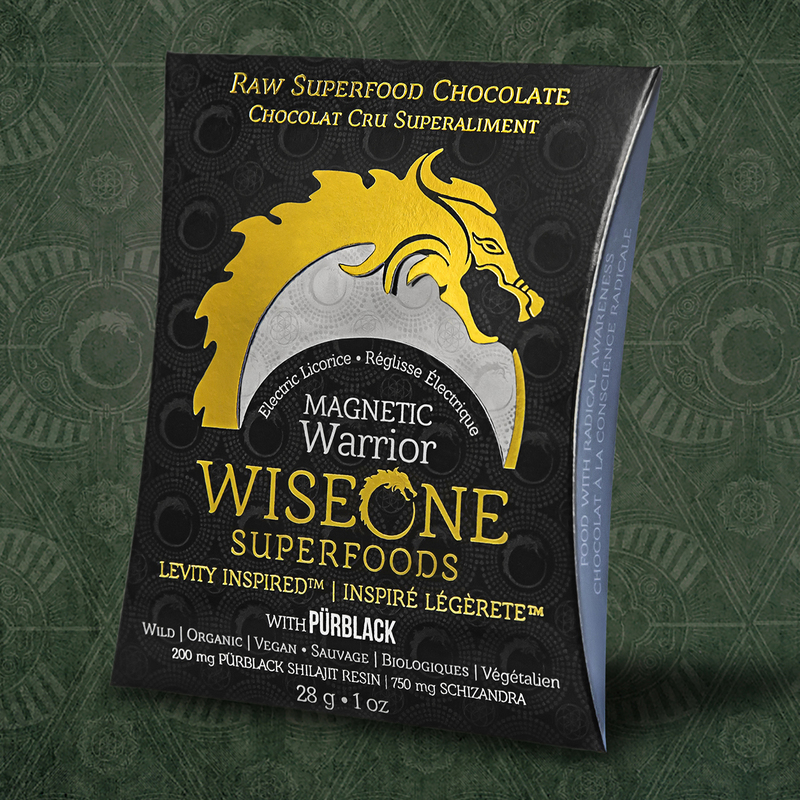 With an electrifyingly attractive blend of superfoods, this WISE chocolate strikes like the world’s most friendly lightning bolt. Our Magnetic Warrior bar brings together the electrifying taste of schizandra and shilajit with notes of black licorice—creating a highly medicinal and nourishing chocolate bar. Use of Shilajit in this bar provides an optimal dose of daily minerals and micro-nutrients while improving immune system functions and nutrient transport. A stage 1 and 2 blood cleanser, schizandra is highly revered for its ability to remove and eliminate toxins from the blood. Daily use of this chocolate bar can significantly inspire an optimal state of healthful, electrified blood and nutrient transport. Shilajit is known in Ayurvedic medicine as the ‘Destroyer of Weakness’. It is a naturally occurring mineral pitch with over 80 minerals and naturally occurring fulvic acid. This is a superfood for people who want to seriously optimize their diet and ensure beyond adequate mineral intake and get all of the benefits of shilajit consumption. Learn more about shilajit here. Schizandra Berry, known in China as ‘Wu Wei Zi’, translates as the ‘Five Taste Fruit’. It contains within its dynamic essence, all five flavours: bitter, sweet, salty, pungent, and sour. It is known in Chinese Tonic Herbalism to access the five Yin organs, all 12 meridians, and tonify the three treasures*. Learn more about Schizandra here. Learn more about our CACAO here. Try our Magnetic Warrior bar today and see why we guarantee 100% satisfaction. Awesome Chocolate… ridicoulously good. But it is NOT Sweet… Which is actually a good thing. 😀 So be aware of that >>> it is only Mild-ly sweet but fantastically awesome taste and smell! It is not sweet >> but it is not bitter AT ALL.. 😮 like the hard baker’s chocolate in regular supermarkets. It is also kind of ‘hard’ — a perfect chocolate cracker is kind of how I would describe it. The smell is trully fantastic and the purity is exceptional. I have only tasted chocolate this pure from ultra select and small boutique chocolates from Switzerland. I would only give it 4 stars if you want the chocolate to be SWEET and with MILK. This one has very low amount of pure cane juice crystals and then just pure ecstatic goodness… it is so damn good … ;o that I can no longer write a un-biased review. It is really really good. 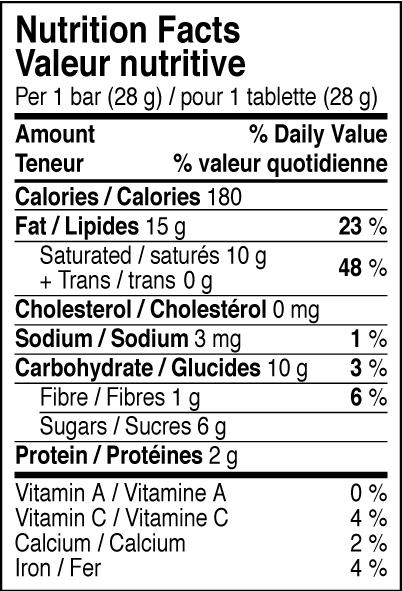 The more you eliminate high sugar and un-healthy foods from your diet.. the better and better this chocolate will taste for you I think.